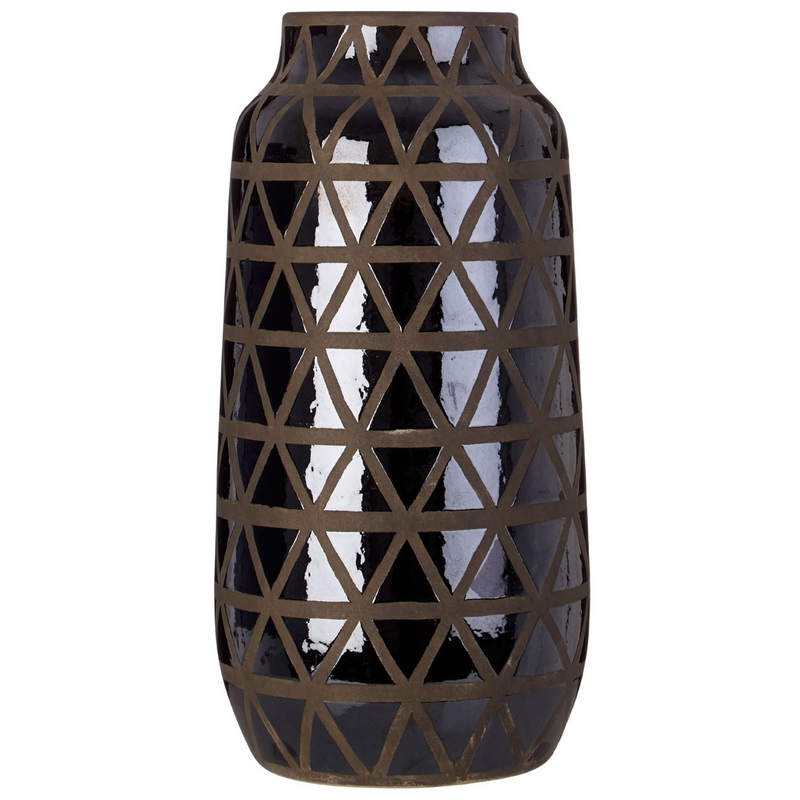 Add a contemporary style to your home by introducing this gorgeous Complements Large Zengo Vase. This vase has a very stylish design that looks very modern, as well as looking very homely. The exotic earthenware material combines perfectly with the geometric triangles and black colour to create a very modern and industrial piece.